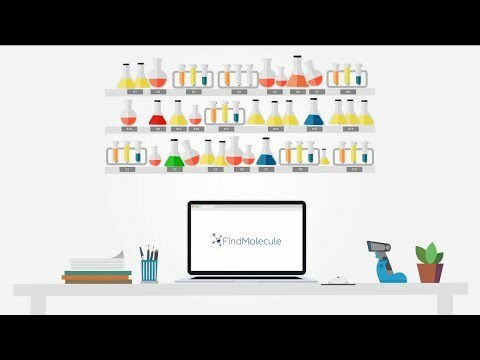 FindMolecule is a web based chemical inventory management system and ELN (electronic lab notebook) for chemists and biologists in both commercial and academic laboratories. FindMolecule's electronic lab notebook - designed to have the feel of a paper notebook, but with all the benefits of a computer - can be accessed from anywhere, saving time on data entry. Users can create projects, collaborate with their team, and accelerate their research by copy-pasting molecules and reactions, and also searching molecules from the inventory. Laboratory staff / students can conduct certificated analysis, scan barcodes, manage health & safety in a lab, and conduct structure searches. FindMolecule allows biologists and chemists to sign and countersign their experiments so that the intellectual property rights of their work are protected. Users can share their projects and experiments with others, as well as duplicate the experiments of teammates. The software uses TLS 1.2, SSAE 16 certified storage and firewalls to protect data from theft or loss. Some people may find the fact that it is cloud-based an issue, as data is not saved internally on-site. They do assure however state-of-the-art encryption and protection of the user data. We love it.Easy to use. Very intuitive. Affordable compared to other similar alternatives. Include chemical inventory as well. Customer service is excellent. Every time there is an issue, we contact them and they get back to us very quickly. Easy to use. Very intuitive. Affordable compared to other similar alternatives. Include chemical inventory as well. Customer service is excellent. Every time there is an issue, we contact them and they get back to us very quickly. As with all the electronic notebooks software, it is still not perfect but there are regular updates to make sure it improves all the time. We haven't had any major issues with it for the last several years. This online Chemical Inventory is very well organized, easy to use, and powerful. It makes molecule search a lot easier. Highly recommended. Everything about the Chemical Inventory is good. Contact FindMolecule for pricing information. 100% free for academic use. • Users can track orders by supplier or scientist in FindMolecule. All products are well organized and grouped together to allow easy management and tracking of both inventories and placed orders. • Track your hazardous chemicals easily with FindMolecule and improve the safety of your lab. • Exact match and sub-structure search results, with by-relevance sorting, allow users to find items quickly and easily in the FindMolecule database. • FindMolecule's barcode and a multi-scanning system makes inventory control faster and more accurate for scientists. • FindMolecule’s structure search drawing app helps users to search for products by drawing or copy/pasting a structure or substructure, then displays results in order of the closest match. Below are some frequently asked questions for FindMolecule. Q. What type of pricing plans does FindMolecule offer? Q. Who are the typical users of FindMolecule? Q. What languages does FindMolecule support? Q. Does FindMolecule support mobile devices? Q. Does FindMolecule offer an API? No, FindMolecule does not have an API available. Q. What other apps does FindMolecule integrate with? Q. What level of support does FindMolecule offer?